From rope access to autonomous systems, our ability to provide access delivers the flexibility and efficiency you need to meet your inspection requirements. We collect data in a safe and timely manner to ensure that you can make informed decisions concerning the integrity of your assets—no matter their location. Our globally-deployed rope access capabilities provide you with the ultimate flexibility in inspection solutions. 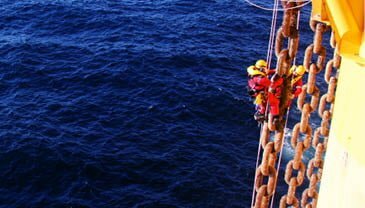 Cross-trained rope access technicians provide a one-stop solution for inspection and intervention requirements. Rope access is a trusted and cost-effective solution. We are a Trainer Operator member of the Industrial Rope Access Trade Association (IRATA) and a corporate member of The Society of Professional Rope Access Technicians (SPRAT). Using a UAS provides a cost-effective method of gathering data required to make informed decisions. Our experience and commercially agnostic approach to UAS enables delivery of a tailored and safe solution. From vendor approval to data management, we deliver cost-effective, technologically-advanced UAS solutions while providing aviation oversight and assurance for all UAS operations. We use field-proven, industry-leading technology. We help you reduce risk by removing the human element in completing inspection operations. We manage the complexities of cumbersome global aviation assurance oversight. UAS compliments our rope access offering with efficient, safe identification and evaluation of anomalies. The technique enables on-line inspection of assets—including those traditionally requiring shutdown before intervention. We offer solutions for complete data management. Our vetted operators provide the industry’s most advanced and project appropriate technologies. We can offer cost savings via volume discounts based on our established relationships with vendors. With nearly two decades of experience, our AUVs have surveyed over 401,000 km of data for more than 75 customers in 14 countries. Our AUVs are deployed subsea to collect inspection and survey data. They not only assist in helping you meet regulatory requirements, but they enable you to make informed engineering decisions about your assets. AUVs deliver high-quality, real-time data that can be reviewed immediately to ensure the necessary information has been captured. The requirement to deploy personnel in challenging and dangerous areas (in vessels, hulls, or storage tanks) no longer needs to dictate your inspection programs. Miniature ROVs effectively reduce risk and cost by using proven technology to collect data on equipment condition. 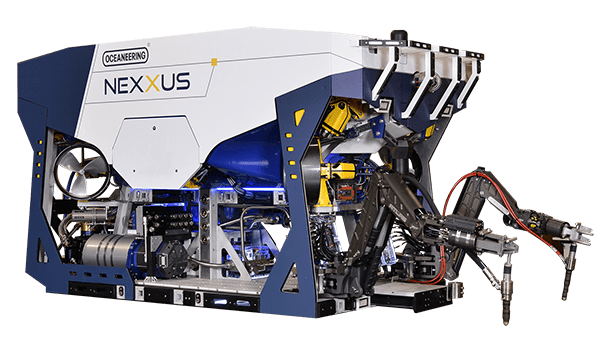 We have successfully used small-footprint ROVs to complete visual and ultrasonic inspection and identify their use as the preferred approach for floating system and process plant integrity requirements.